If you’re like millions of other Americans, the beginning of the new year has spurred you to make some resolutions. What are your new goals? Lose weight? Get healthy? Have more energy? Those are all great goals and they all have something in common: they will require you to cut sugar out of your diet. The truth is, whether it’s January 1st or any other time of year, cutting sugar from your diet is one of the absolute BEST THINGS you can do for your health. After all, the white stuff is linked to diabetes, hypertension, weight gain, cancer and depression. Having said that, when you eat sugar it sets off a chemical reaction in the body that causes a high. Soon, a person can become addicted to sugar, just as they would any other drug. This is to say that kicking the sugar habit won’t be easy. 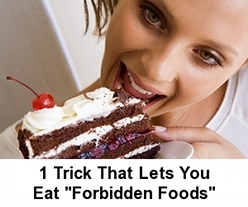 Particularly if you’ve just allowed yourself to eat as much of it as you wanted over the holidays. But, there are steps you can take to free yourself of the tight grip the sweet stuff has on you so you can kick it to the curb. Unfortunately, none of us are born with operating instructions. We must instead take the time to be self-aware to fully understand what makes us tick; what works and what doesn’t work when it comes to making big changes in our lives. To figure out whether you should take a “cold turkey” approach to cutting out sugar, or gradually eliminate it from your diet, you’ve got to be realistic about who you are and how you operate. Are you the type of person that has trouble eating sweets in moderation? When there is an entire bag of cookies in the kitchen, do you only eat one and then leave the room? Only to come back and eat another? Leave then come back and eat another… until you’ve consumed the whole bag? (sadly all of that walking back and forth will not burn enough calories. If you’re nodding your head, you may want to try going cold-turkey with sugar. By completely cutting it out of your diet for 3 or 4 weeks, you will reset your taste buds and set yourself up for long-term success. Often new healthy habits can be created in a short amount of time, so for some, going cold-turkey is the way to go. After a bit of time you may introduce small amounts of some sweet foods you eliminated. There are those individuals who naturally rebel against any form of authority, even when that authority is coming from their own head! When told they HAVE to cut out sugar totally and completely OR ELSE, they get stressed out and end up wanting sugar EVEN MORE. For these people, a gradual tapering of sugar intake, with treats in moderation, is most likely a better approach. Perhaps you can shrink the portion size of your desert little by little, or only consume desserts on certain days. The point here is, it’s incredibly important that you don’t just throw yourself into a plan when that plan may not fit your personality. Take a little bit of time and look at your history honestly to determine which approach will work best for you. Cutting out sugar will go much better if you ensure you eat enough good and healthy food. Many people, especially women, make the mistake of not replacing all of those empty calories with good ones. By midday, they experience headaches, mood swings and hunger pains and, without thinking, reach for a sugary snack. By making sure you load up your kitchen cabinets and refrigerator with healthy foods, and eat three meals a day, you will set yourself up for success. Also, be sure to eat plenty of protein, particularly at breakfast. Protein help keeps blood sugar stable and makes you feel fuller longer. Each of your meals should contain at least 20 grams of either animal protein or beans or lentils. You’ve no doubt at some point heard that you should eliminate fruit from your diet, especially fruits like bananas and grapes, as those are loaded with sugars. This is absolute nonsense. Does fruit have natural sugar? Of course. 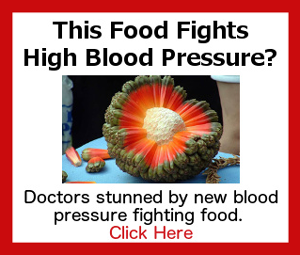 But it also has fiber, which combats the effects of the sugar on your blood. Comparing a banana to a cupcake is utter nonsense. Fruit can be your ally when battling a sugar addiction. As long as you avoid fruit juices (which only offer the sugar and not the fiber) you will satisfy your sweet tooth while offering your body important nutrients and antioxidants. How many times have you or someone you know given up regular coke for diet-coke, thinking you were making a “healthy” choice? 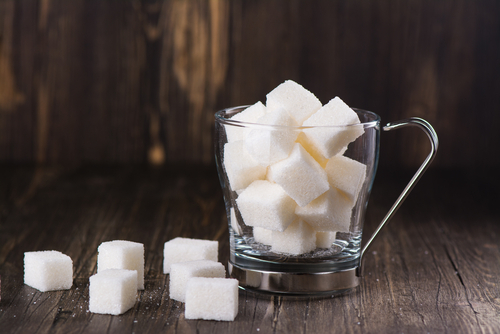 The truth is, not only are artificial sweeteners like Splenda and Equal made in a lab somewhere, they also tend to make you crave sugar even more. Because “fake” sugar is many times sweetener than natural sugar, eating too much of it can dull your taste buds. You’ll get to a point where something like an apple won’t cut your craving anymore and your body will begin craving high-sugar and high-calorie candy, cookies, and soda instead. Cutting sugar out of your diet is hard but necessary. If you follow these tips you should be able to experience a smooth transition without headaches or irritability, and without setting yourself up for failure.